Sorry to everyone who emailed me for this pattern over the past 3 years and I told you it would be done *soon*. Little did you know soon meant 3 years LOL! I made this one with fabrics I had on hand, but I bought that cute Cotton and Steel whale print I just love. I quilted this on my own machine and it actually turned out pretty awesome! It was a good break from my regular designs and so easy to do! Can you spot the one rouge wave going the wrong direction? I didn’t even notice it until I was done and now it’s my (our) secret. 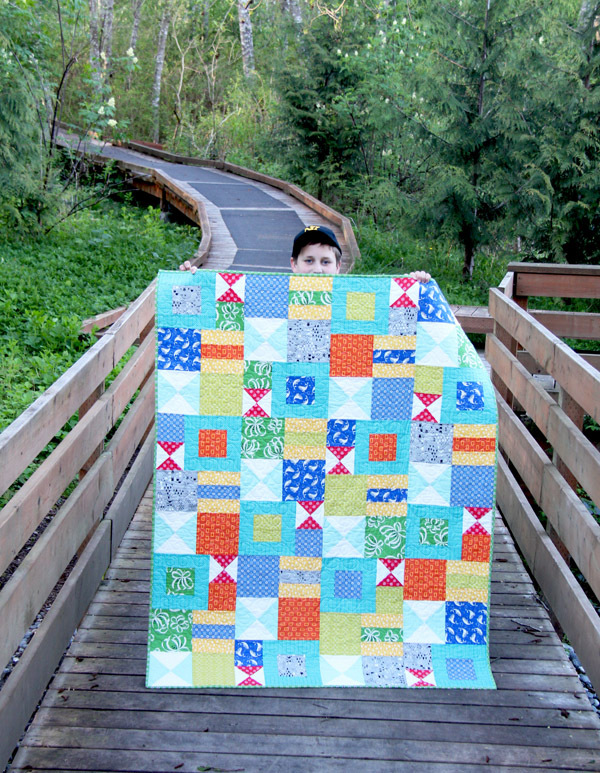 My handsome quilt holder upper just turned 10 and is so tall (I’m nearly 6′ and my husband is 6’3″). Our kids will be very tall! The Bizzy Kid pattern is in my shop. 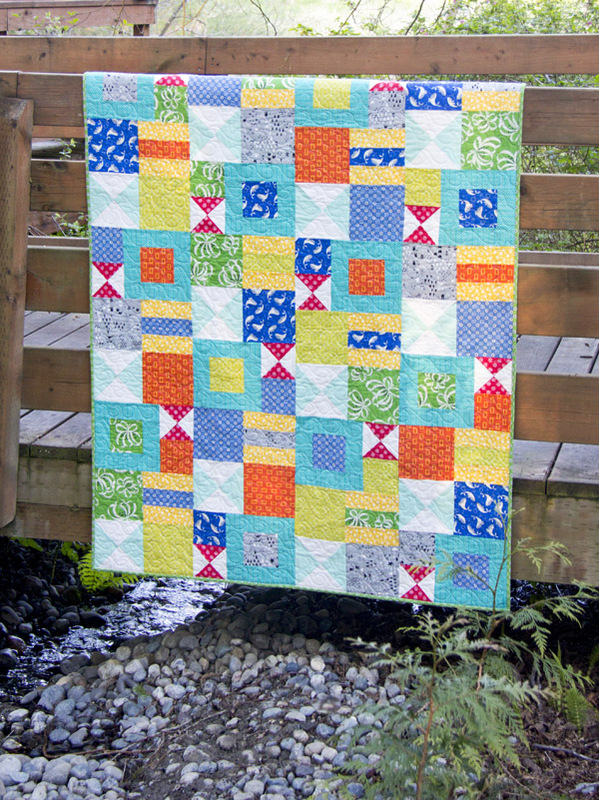 For a look at my original version of this quilt it can be seen here. I made this quilt in a Christmas version that is still my favorite Christmas quilt you can see here. 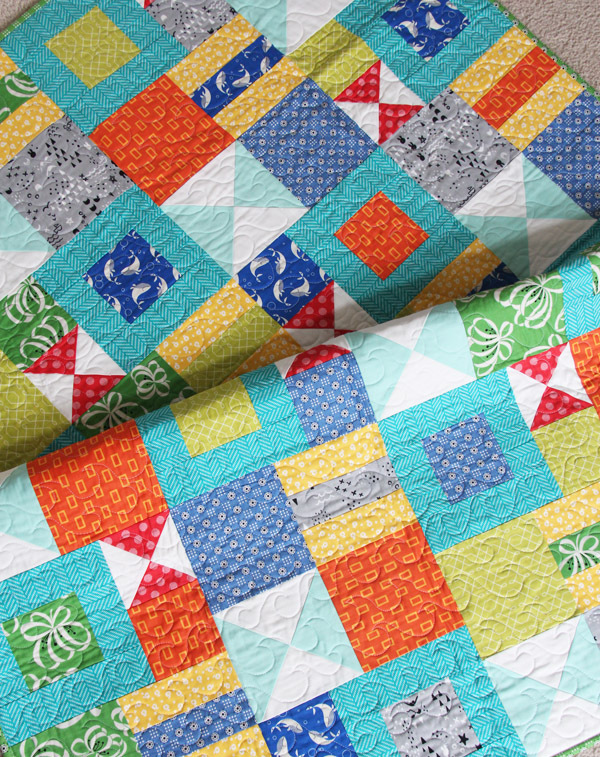 What a pretty happy quilt! I love the colors!!! I LOVE that whale print, too. Hooray for quilt holder uppers getting taller! 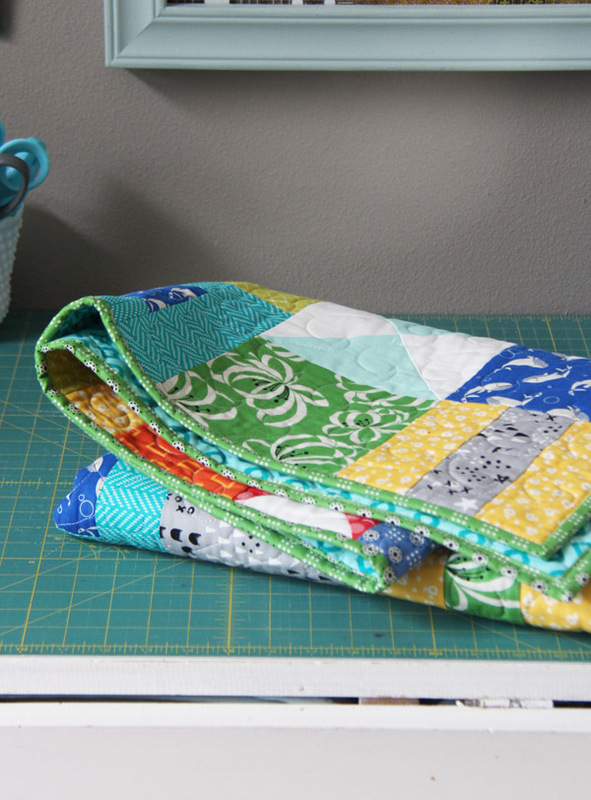 Your quilting is perfect for this quilt – love seeing the photos of your surroundings. I love the colors. This is a happy quilt!